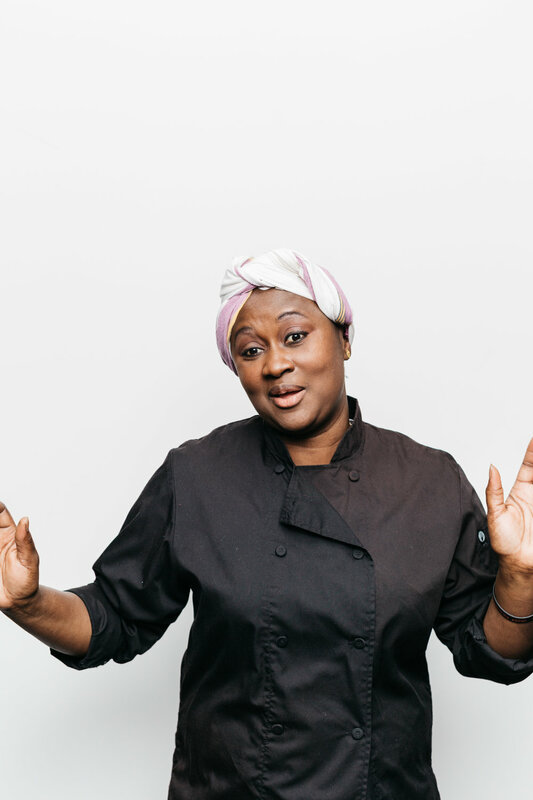 Marie-Claude Mendy knew Boston needed a Senegalese restaurant. 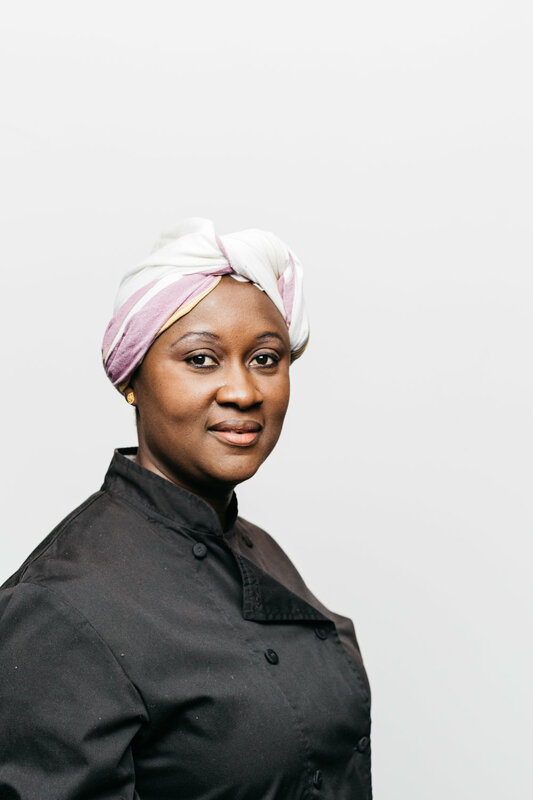 After growing up in the small West African country, Mendy lived in Paris, London and Washington, D.C., before finally settling in Boston in 2001. First, curious coworkers at her finance job were constantly asking to taste her lunch. 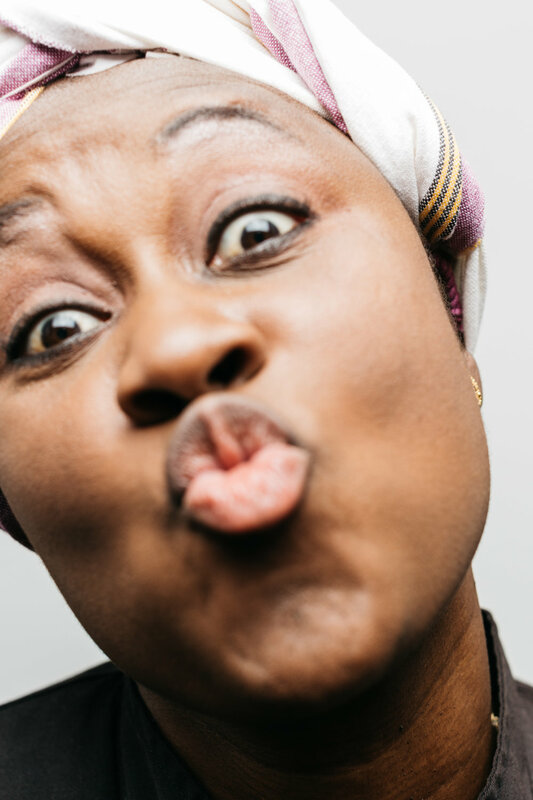 She then found herself cooking mafé—a rich lamb stew made with authentic Senegalese peanut butter and garlic—in batches so large that she asked people to pick up their portions from her home. 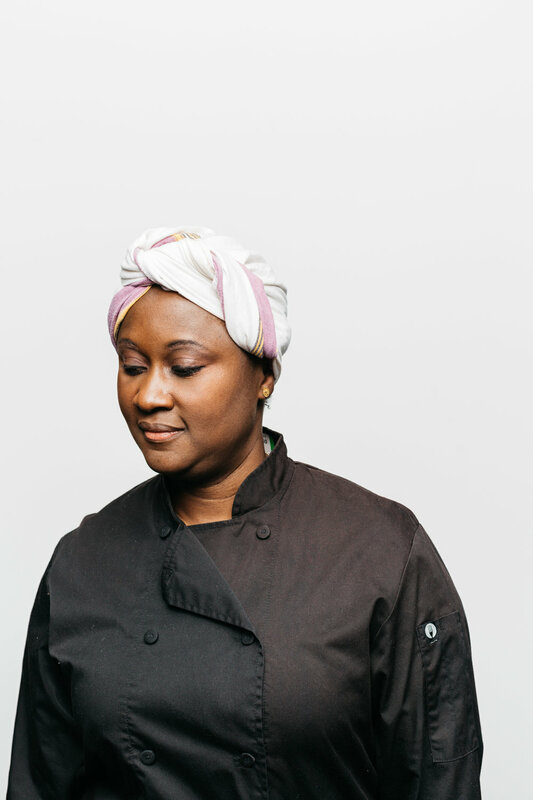 Soon enough, she was catering small celebrations for friends—and when she offered Italian or French specialties, they always insisted that they wanted her Senegalese food. She opened Teranga in a small space on Washington Street in the South End in 2009 after years of planning. The city’s first Senegalese restaurant has been a hot spot for fresh, flavorful food ever since. 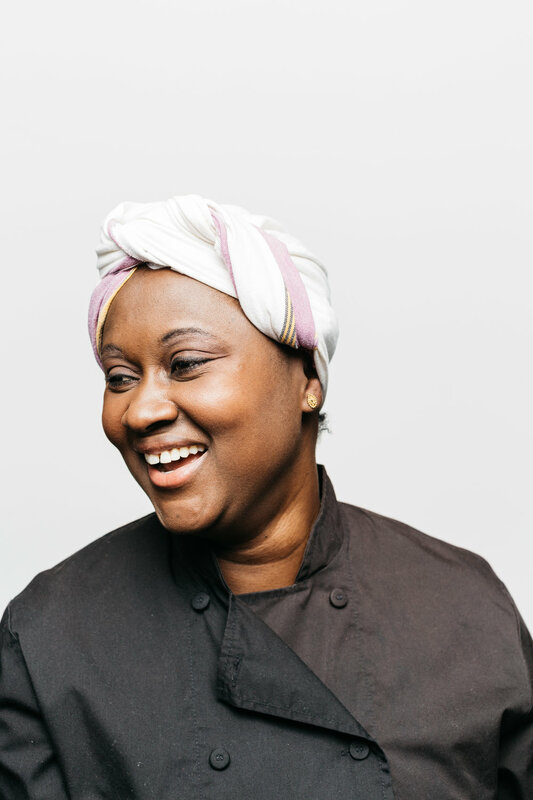 We spoke with Mendy about topics ranging from her parents’ tyranny over the kitchen to Western misconceptions about Senegalese food to her experience on Food Network’s “Chopped”—and the moment of doubt that came before her $10,000 win. EDIBLE BOSTON: TELL US ABOUT GROWING UP IN SENEGAL. WERE YOU INTERESTED IN COOKING AS A CHILD? 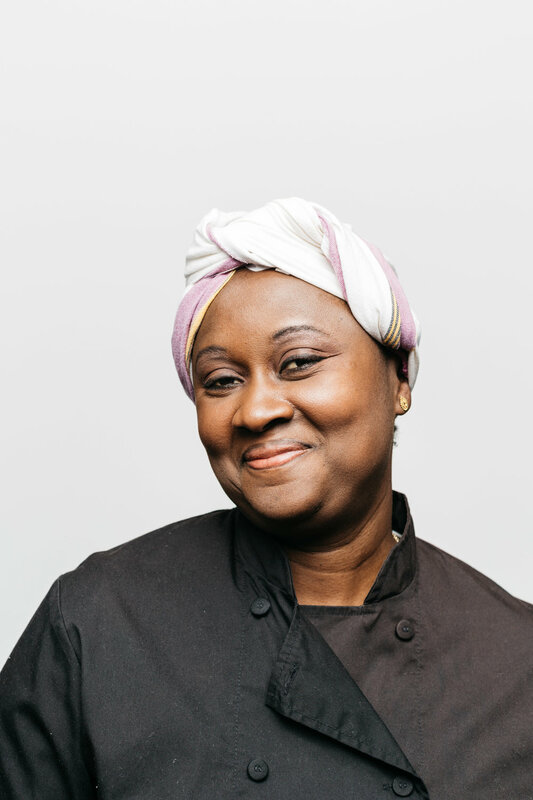 MARIE-CLAUDE MENDY: I started cooking as far back as I can remember. I have always been the one you will find in the kitchen, making mistakes, creating troubles, burning the dish. Around [age] 11, my mom realized that this person, you cannot chase her out of the kitchen. So then she would ask me to do some little task when she’s cooking. Then sometimes when she’d have some guests, she’s entertaining so I’d be the one watching to make sure that the fish was being fried properly. [I would] go to her and [update her on the status of the cooking] because I was not allowed to touch it at that time. I HEARD YOU COOKED YOUR FIRST MEAL AT 11 YEARS OLD. YIKES. IT SOUNDS LIKE YOUR PARENTS WERE PRETTY TERRITORIAL ABOUT THE KITCHEN. BUT DESPITE YOUR EARLY INTEREST IN COOKING AND YOUR FAMILY’S LOVE FOR FOOD, YOU DIDN’T INITIALLY PURSUE A CAREER AS A CHEF? MC: No. I came from a family where you had to have some educational background. Plus, in Senegal—please. You won’t tell people that you want to be a professional chef. They’re, like, “What’s wrong with you?” It was unthinkable. My brother is an engineer. My sister is an insurance executive. They see [cooking] as a hobby. I did business. Fifteen years ago, I moved to finance. I started working in the financial services industry. But the passion for cooking was always there. I knew ever since I was a child, 6 or 7, I knew I was going to open a place. An eatery. But initially, I thought it was a patisserie because I started with baking. It’s funny—your family will trust you more with baking [than with cooking]. SO WHAT MADE YOU DECIDE THERE WAS A MARKET FOR SENEGALESE FOOD IN BOSTON? When I was doing some research, I realized there is no Senegalese restaurant [in Boston]. 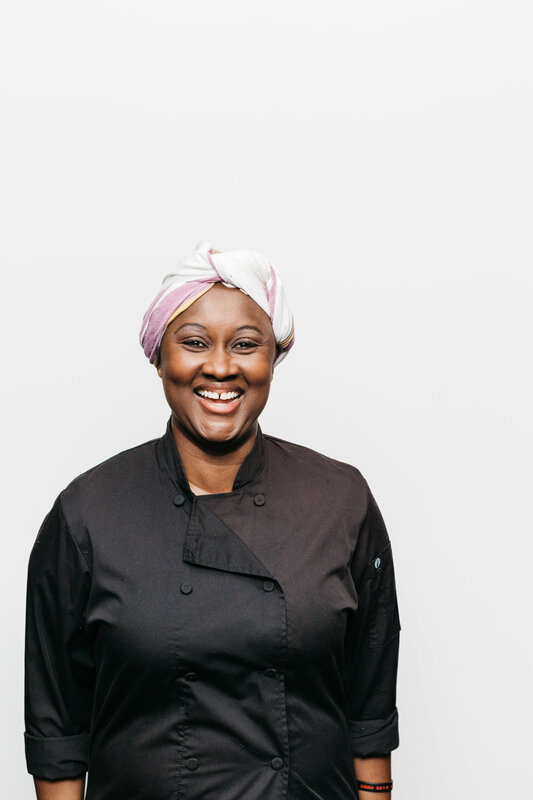 It became a race against the clock to be the first Senegalese restaurant. HOW DID YOU CHOOSE THE NAME TERANGA? MC: Teranga means hospitality [in the Senegalese language Wolof], but it’s more than hospitality. For us, it’s a way of life. It’s everything you can think of. It’s a verb, it’s a noun, it’s an adverb, it’s an adjective. Like, we say, “This person, she knows teranga”: This person, she knows hospitality. Or, “This person, she’s teranga”: This person is hospitable, this person is generous. But believe it or not, when I was [growing up in Senegal], I could care less about the word “teranga.” My mom is an excellent, excellent cook. I think to this day my mom makes the best yassa. A LOT OF YOUR CUSTOMERS MUST BE TRYING SENEGALESE FOOD FOR THE FIRST TIME. HOW DO YOU DESCRIBE YOUR CUISINE TO PEOPLE WHO AREN’T FAMILIAR WITH IT? MC: I say, “It’s everything you’d find in your pantry, but different combinations.” For instance, everyone is familiar with garlic, ginger, scallions, black pepper and salt. Those are the items that are prevalent in our cuisine. I created a verb: “gingerize.” I gingerize everything. In Senegal, we put it in sweet and savory, but me, I put it in everything. To me, there is not enough ginger. DO YOU ENCOUNTER MISCONCEPTIONS ABOUT SENEGALESE FOOD SPECIFICALLY OR AFRICAN CUISINE IN GENERAL? MC: We do. When we have a new trainee, we always tell them 60% of the job is educating people. Sometimes when I’m mad, I say, “Listen, we [Africans] are one-billion-plus people. What do you think we eat? We eat just leaves? Come on.” You know? Sometimes, we work with [Boston Medical Center]. We tell them our food is the healthiest in the world because it’s not processed. Everything is made fresh. What I really love about our cuisine is that sodium and sugar are pretty much nonexistent. I have a handful of customers who are on a special diet. They don’t eat sodium or sugar. I provide meals for them. [One such customer] says she doesn’t miss [the sodium and sugar] because I give her everything, and it’s a complete diet. We go heavy on the spices and the seasoning, between the ginger, the garlic, the scallions, the bell peppers, the onions. It’s not bland. [We have lots of gluten-free options too.] That’s why I tell people: Not knowing is missing out. Because this is as healthy as it gets. So there is a lot of misconception but I’m hoping that as we grow, we can educate more people. I IMAGINE SOME OF THOSE MISCONCEPTIONS HAPPEN BECAUSE SENEGALESE FOOD HAS BEEN INFLUENCED OVER THE YEARS BY CUISINES FROM OTHER NATIONS. MC: It’s the [Senegalese] national dish, tiébou djeun: [herb-stuffed white fish cooked in tomato stew with broken jasmine rice, served with cassava, cabbage, carrots, cauliflower, eggplant and pumpkin]. Lately though, it’s been the yassa [spicy marinated meat, poultry or fish, with lemon and onions]. Maybe I’m missing my mother because I think she makes the best yassa in the world. DO AMERICANS DIFFER FROM THE SENEGALESE IN TERMS OF FOOD CUSTOMS? MC: Here, people tend to be more cautious eating with their hands. In Senegal, the culture is to eat with your hands. It’s OK. Some of the meat dishes I have, they are street food. IT MUST BE NICE TO BE ABLE TO INTRODUCE PEOPLE TO AN ENTIRELY NEW CUISINE, ESPECIALLY IN THE GOLDEN AGE OF FOODIE-ISM. SPEAKING OF FOOD SHOWS, YOU WERE ON FOOD NETWORK’S “CHOPPED” IN 2011. WHOSE IDEA WAS THAT? It was after I opened, I had a strong customer base, strong following. I didn’t want to go and not do well. How am I going to face my customers? MC: I kind of felt a bit ostracized in the sense that they could not pronounce my name, Marie-Claude. I had to say my name three times. MC: I was relieved and happy because I did not expect that. Other [talented] chefs went and did not win. It was never the cooking or the food or the creativity, because I knew I had those. It was more like, “Come on, 20 minutes for an appetizer?” You have to clean the fish or debone the meat. Poultry doesn’t cook in half an hour. But then, I’m super positive. It’s been eight years [since I opened Teranga]. I love the journey.